Yes, that’s right 5 years! 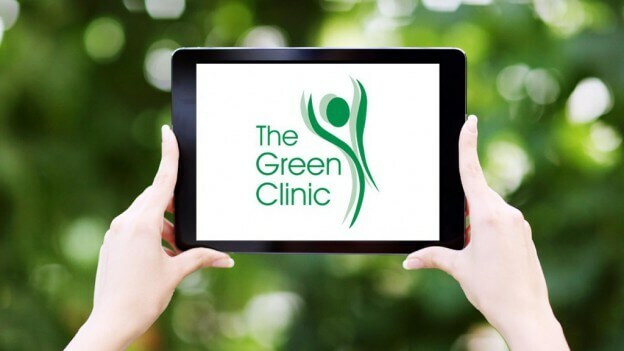 We’ve been reflecting quite a bit over the last few days about how The Green Clinic started and how it’s now gained great momentum from the numerous patients we’ve steered back to good musculo-skeletal health, as well as those with chronic conditions where we make their lives that much easier day to day, week to week, month to month and year to year. It’s hard work, yet smart work and of course very rewarding. Because for every one of those patients we treat, there’s a moment of breakthrough, where we and they can see light at the end of the tunnel and thereafter where we can sustain their healthier body with regular treatment and exercise. What inspired The Green Clinic? Our lead physiotherapist, Stephen Parkus, is passionate about delivering superior physiotherapy care that’s within reach of everyone. In April of 2008 Stephen was very aware of just how many physiotherapists are prone to place people on machines and let the ‘current’ do the work for them. And at a price! At The Green Clinic we’re very much more hands-on. We stretch our clients expectations, (and not their budgets), of what you can regain for your body and then can go on to achieve. 5 years on, there is still some dubious advice out there. Some practitioners also lack the patience upon which we pride ourselves. At The Green Clinic, we take the time to understand your physical pain and how it affects your life. We make sure that every one of our patients is treated how they should be, with an exceptional duty of care. And we never go off at a tangent. We work closely with GPs and Consultants to continue their good work to achieve the best for you. It’s true body conditioning that will get you back on the paying field, help you prepare and recover from surgery, or improve the quality of your life. Our desire to provide the most progressive rehabilitative and pre-habilitative physiotherapy there is, is at the core of all we do. We like to call it Total Care. In 5 years, as our patients go from strength to strength, so have we. We can proudly claim to provide the most effective, evidence based treatment to gain, retain and sustain your strength, fitness, flexibility and mobility. As a Chartered Physiotherapist, with a background in the NHS, private hospital work and specialist post breast cancer surgery care, Stephen Parkus established The Green Clinic with the explicit aim of bringing the best of all three spheres to our patients. Adding to this a particular interest and specialism in treating Hypermobility, The Green Clinic is increasingly becoming known to offer the highest quality physiotherapy for adults and children. So, here’s to the next 5 years and beyond of The Green Clinic standing head and shoulders above the crowd. And we’ll make you a guarantee: You’ll come to The Green Clinic as patients and you’ll pretty soon become friends. It’s just the way we like to do things and we’re told by our patients that it’s pretty rare.